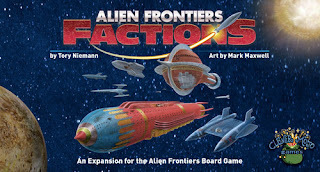 Finally after much anticipation Alien Frontiers: Factions has arrived! Adds even more excitement to the Factions expansion. 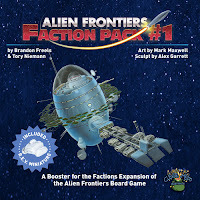 Science and invention merge on Planet Maxwell to give rise to a new faction: Xeno Explorations, Inc. and their REV vehicle. 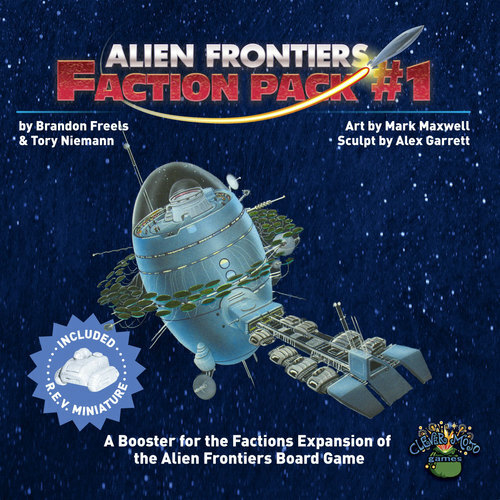 Faction Pack #1 adds 1 Faction mini board, 1 Alien Tech card, 3 Secret Agenda cards, and 1 plastic mini. Alien Frontiers and Alien Frontiers: Factions required.